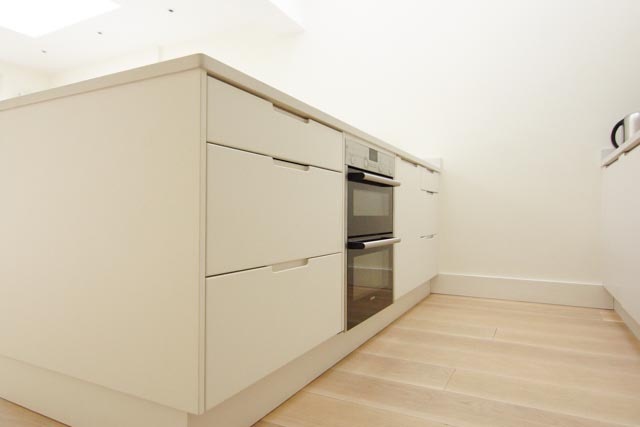 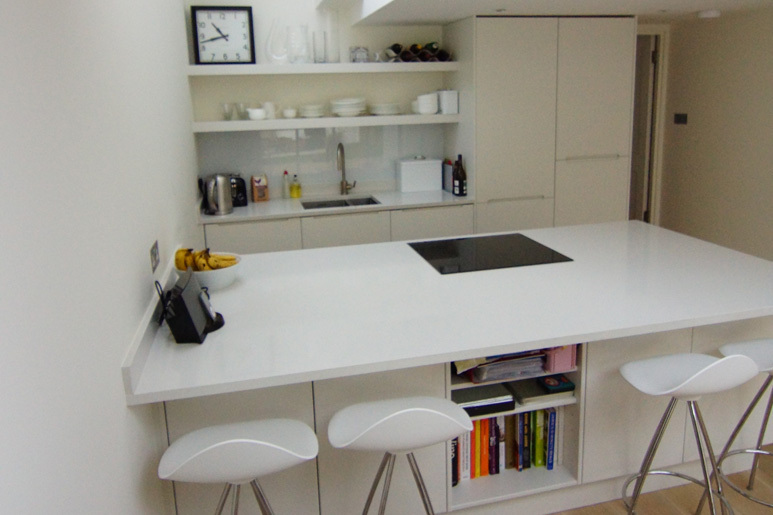 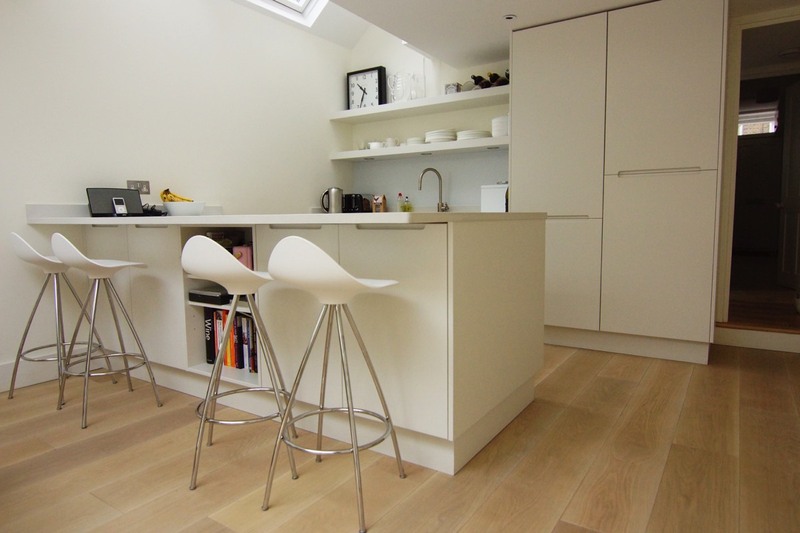 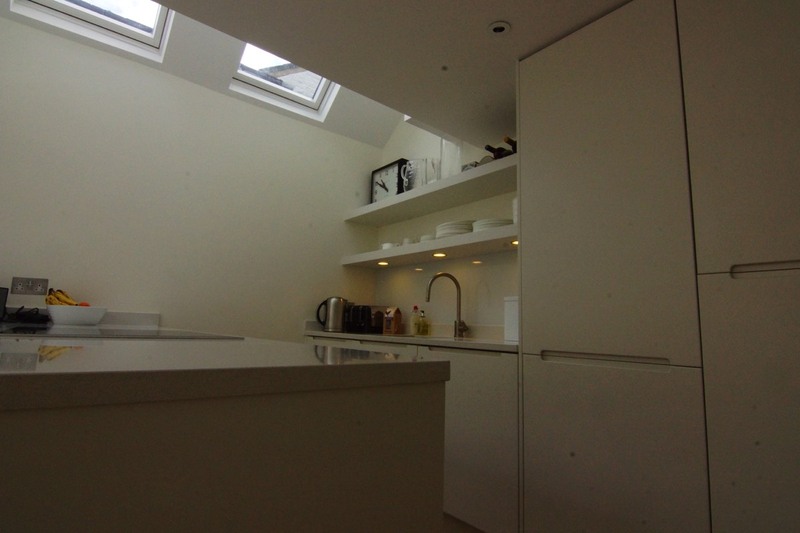 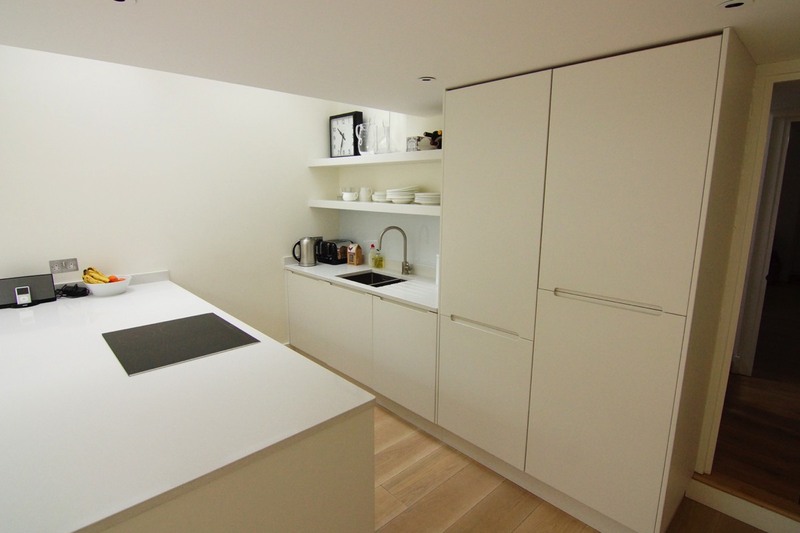 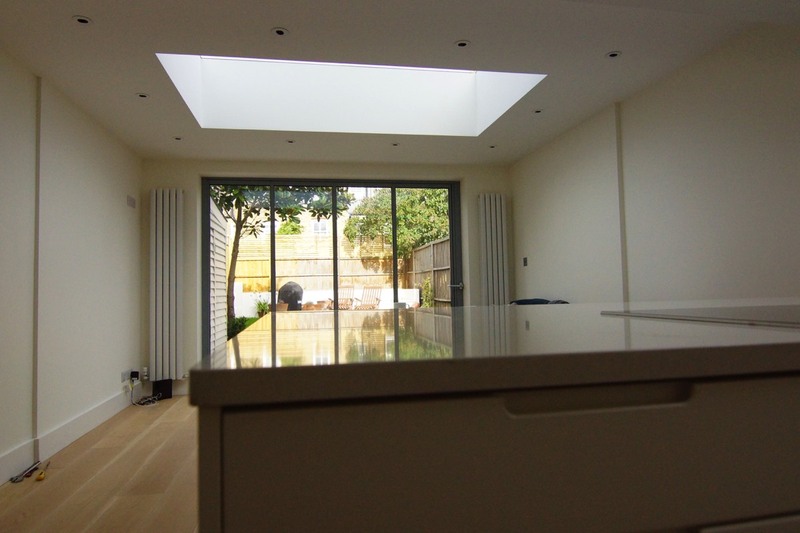 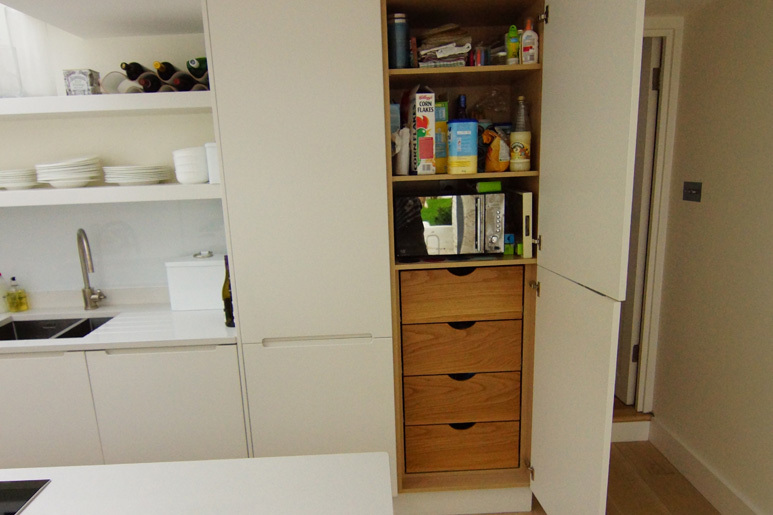 This small Victorian terraced house in Barnes was completely renovated, which included a side return extension built at the rear to which a small but very efficient bespoke hand painted the handleless kitchen was installed by Teddington Kitchens. 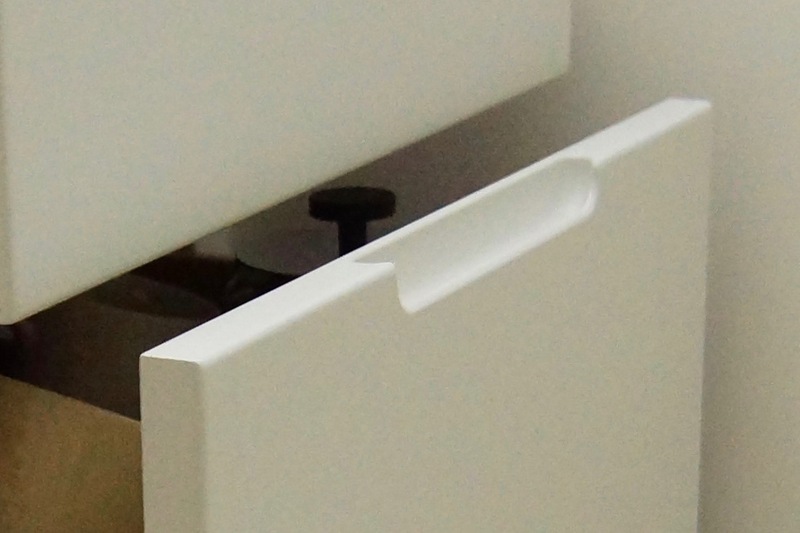 The handle grips can be any position on the doors either horizontal or vertical and at any width. 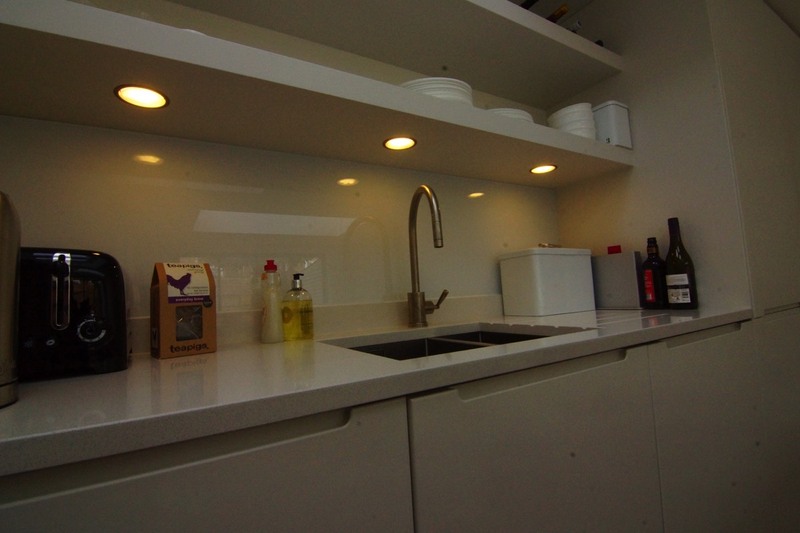 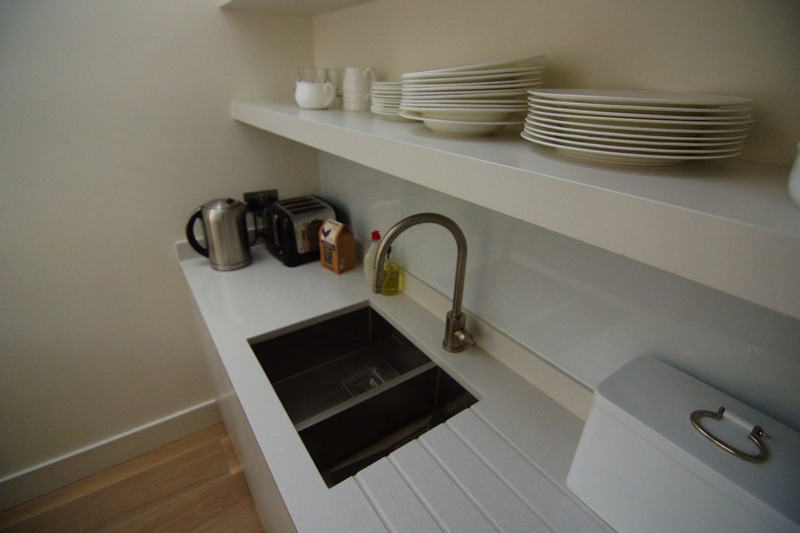 In this kitchen, they are all horizontal, with Compact Quartz in "Luna" colour and the kitchen painted white gives it a very bright and clean look.